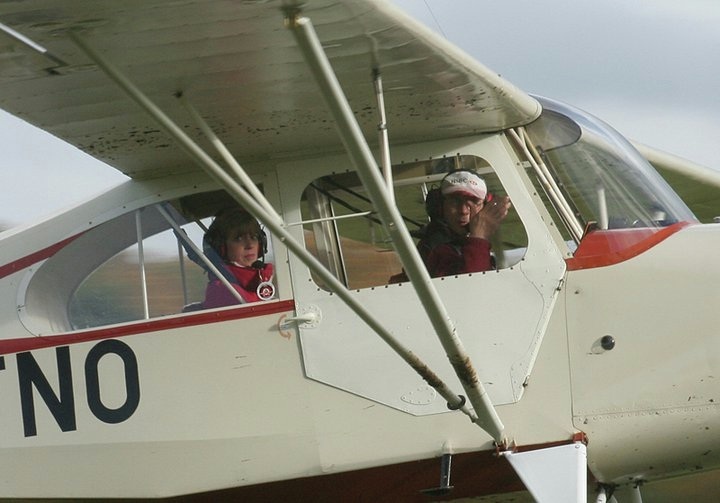 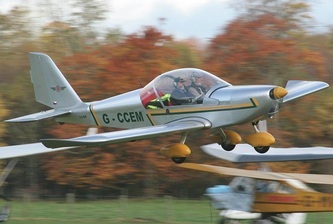 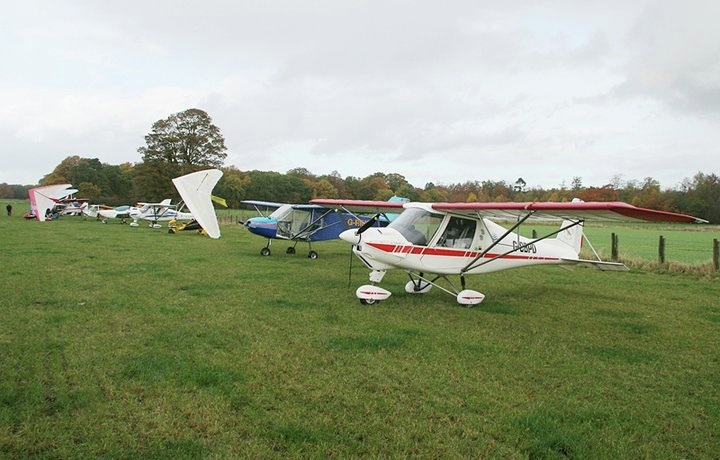 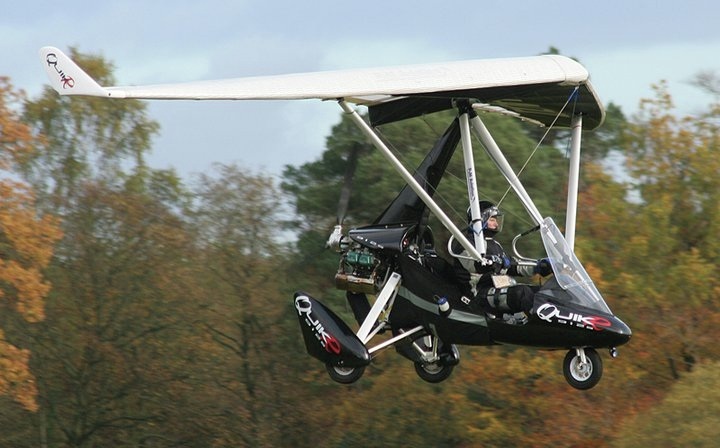 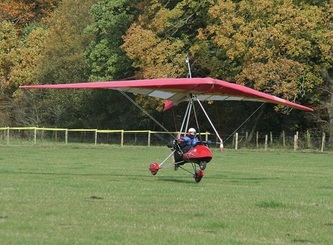 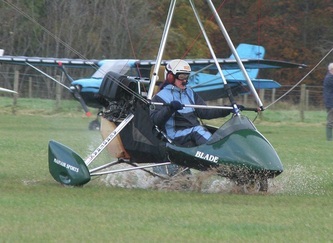 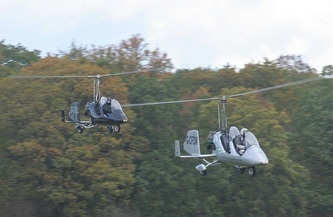 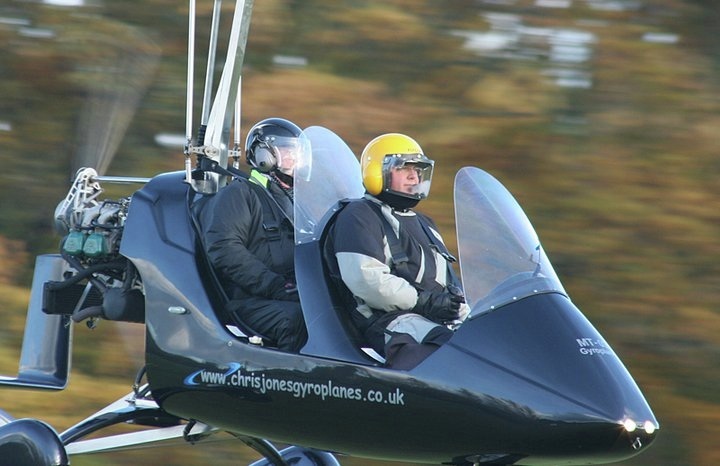 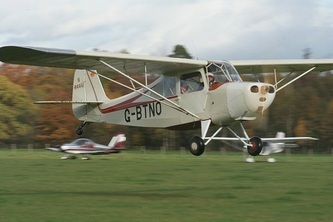 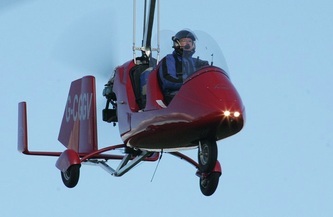 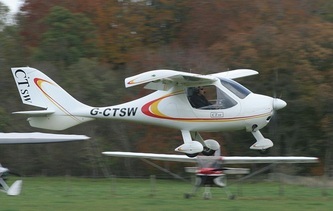 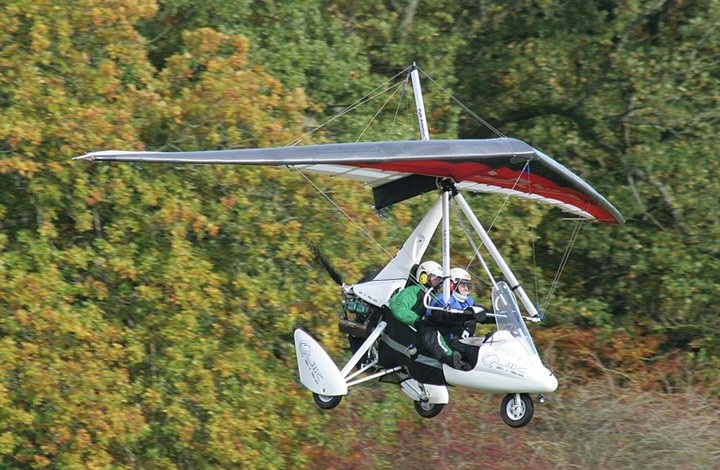 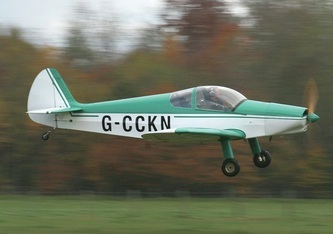 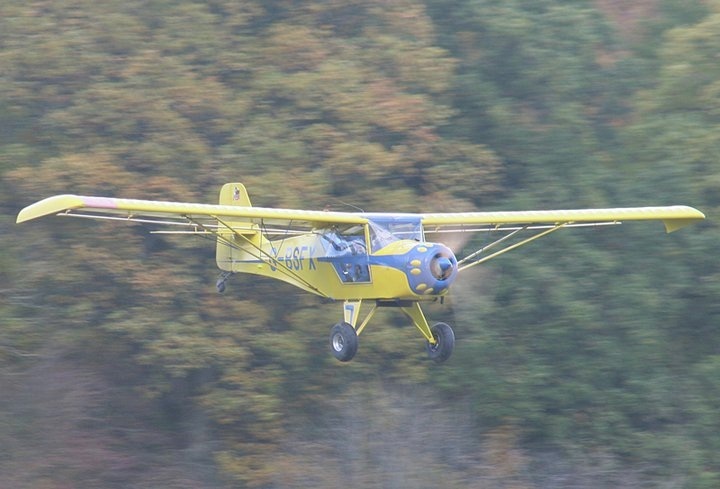 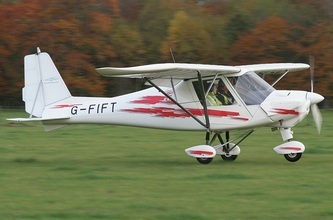 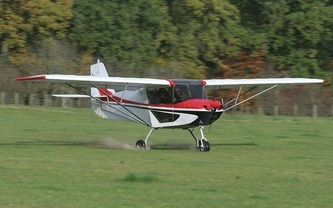 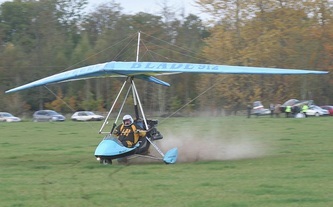 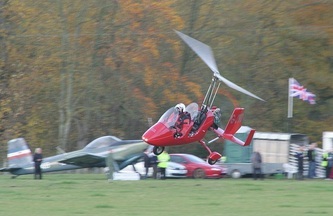 On Saturday 30th October there was a unique chance to fly in to Hutton in the Forest near Penrith. 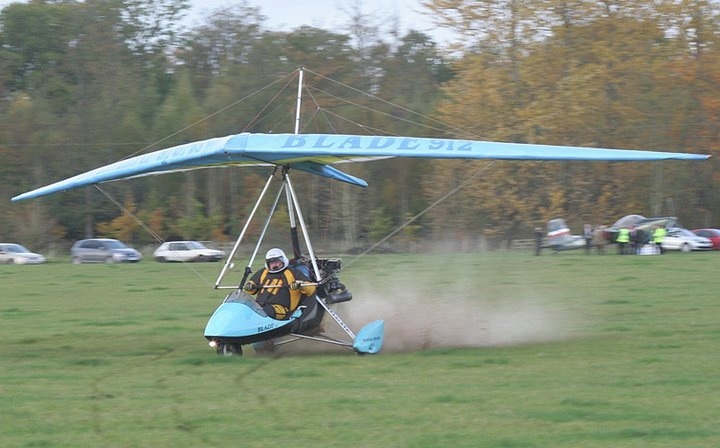 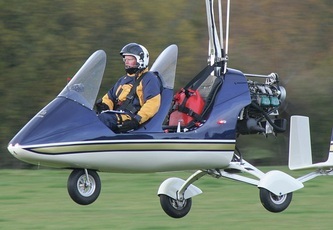 This was organised by none other than our own Andrew Lysser, QFI of Chris Jones Gyroplanes who had done a lot of groundwork with Lord and Lady Inglewood and Mr John Sissons of Kellbarrow Farm. 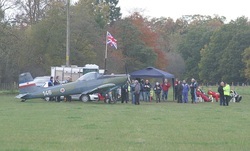 The idea was to have a fly-in to commorate the 70th anniversary of the Battle of Britain, for this a strip of around 450 yards was set up, which did mean that some heavier aircraft were unable to attend, however a healthy and varied turn out of some 44 visitors were seen during the day despite some heavy showers through the day. 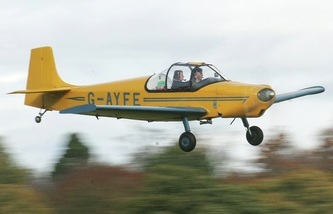 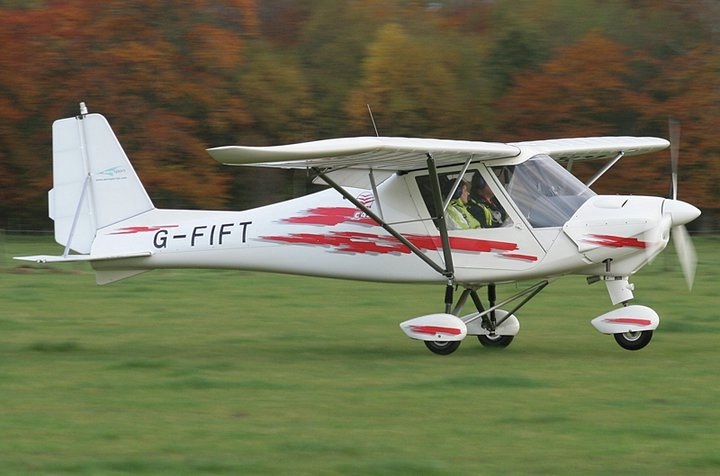 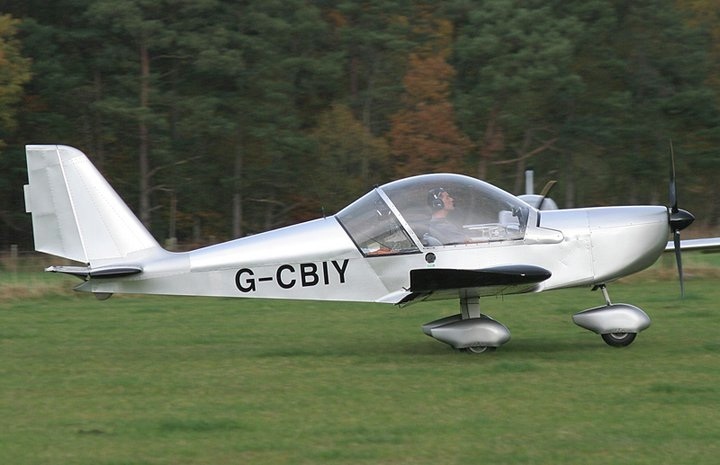 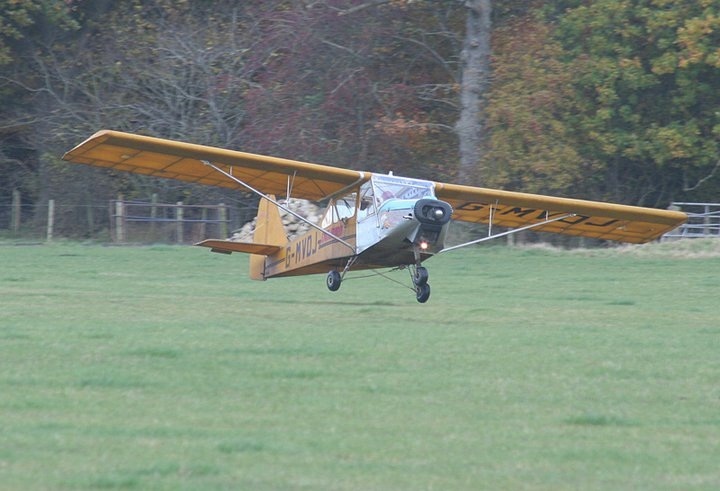 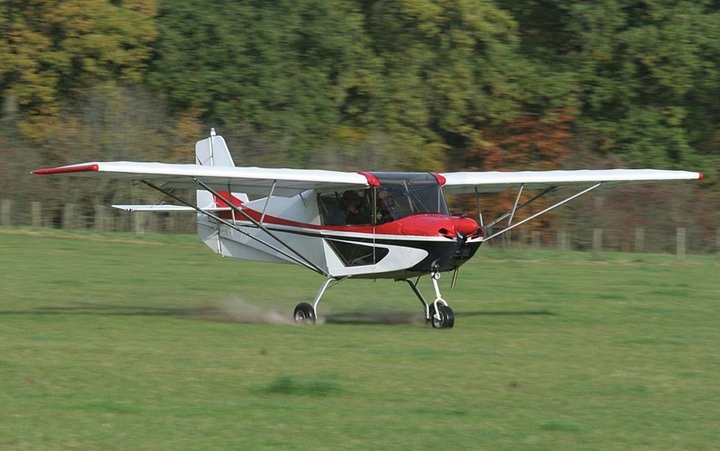 There was naturally a good turn out from the local strips with Kirkbride of course being very well represented with many gyro's and ultralights being present. 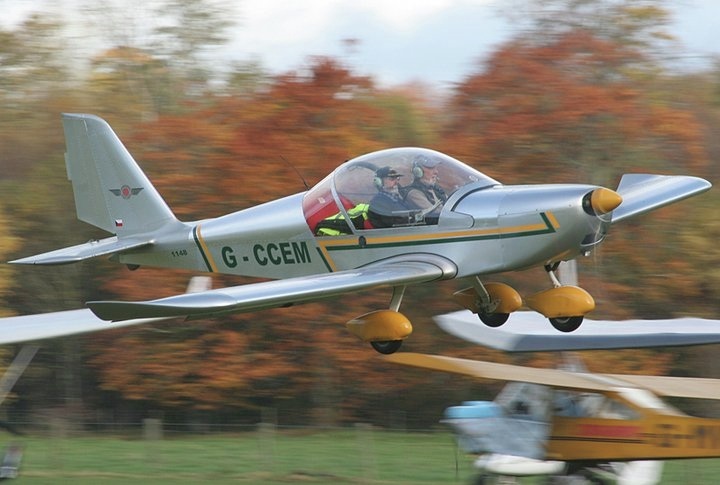 Infact our own John Plaskett was providing his professional air traffic control service on the radio keeping everyone safe as usual. 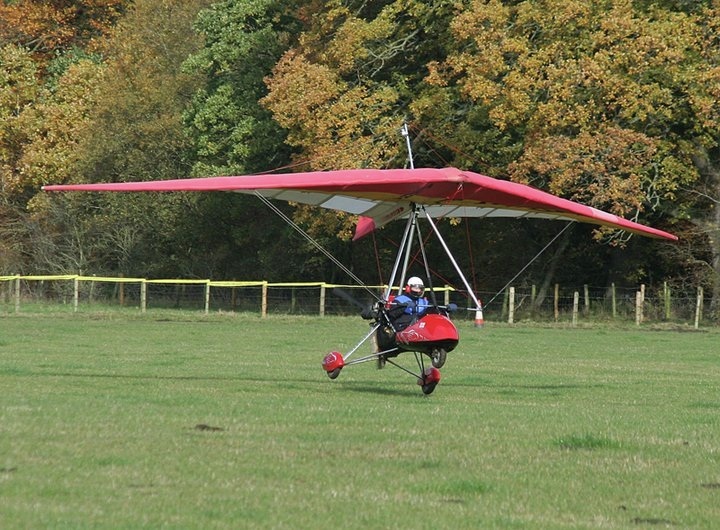 One of Kirkbrides staunch supporters was the star turn of the day. 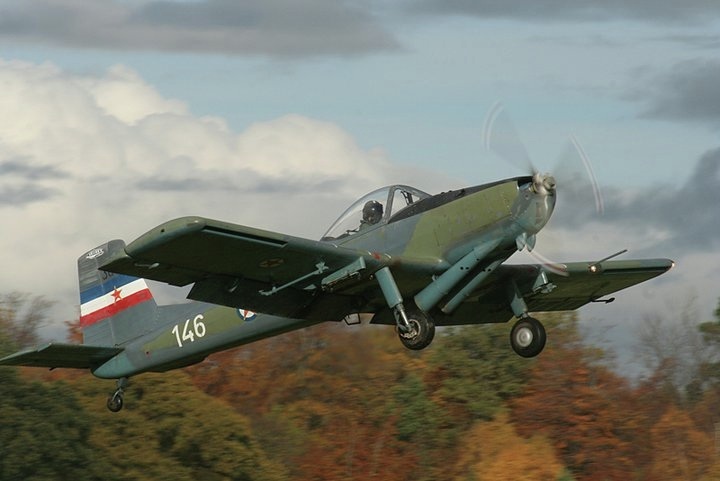 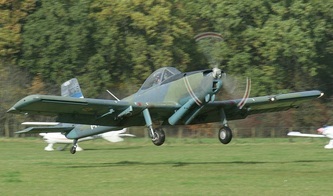 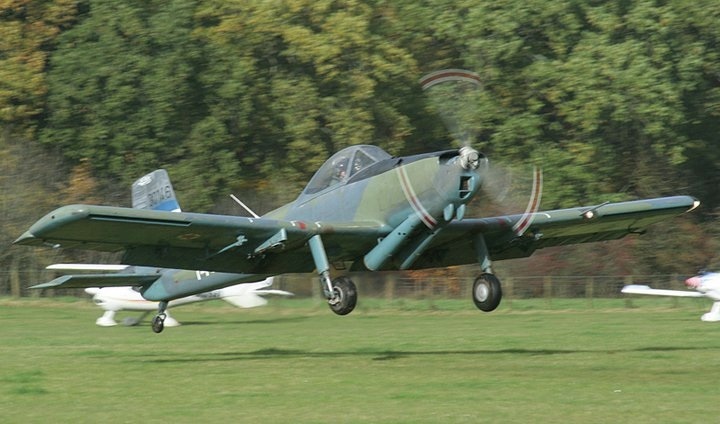 Simon Johnstone brought his Soko Kraguj over from RAF Linton on Ouse and gave a few spirited flybys which kept the cold at bay. 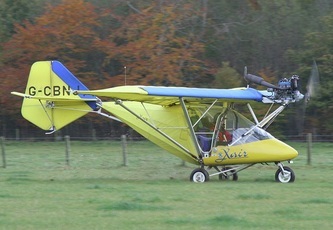 Other unusual aircraft present included Brian Robes immaculate Aeronca Champ and Martin Soulsbys Durine D62 Condor amongst others. The event raised funds for the Church of St James in Keswick and with the good turn out £462.10 was raised on the day. 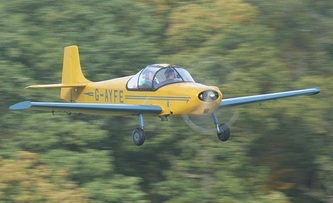 There are plans to hopefully hold the event once again next year sometime in September, but this has yet to be confirmed. 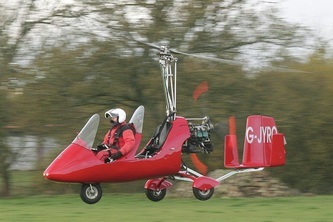 It would certainly be a welcome addition should it become a permanent fixture.